Coming from eastern Canada, I'm not used to a lot of things happening in the garden in January and February. Well, at Kalmthout Arboretum near Antwerp, Belgium, the highlight of the year is the Hamamelis festival, which runs between mid January to mid February!! This amazing plant, with the common name of witch hazel, is in full, spectacular bloom in the middle of winter. 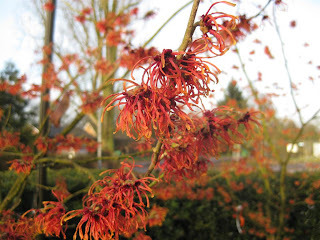 Although I have seen Hamamelis before, I haven't been particularly impressed with the plant. Sure, it blooms when nothing else does - which unfortunately in Eastern Canada is not quite the dead of winter, but either late fall (November) or early spring, depending on variety - but they're not particularly breathtaking. The visit at Kalmthout really opened my eyes to just how spectacular they can be. I think the secret is that you really have to go big with these plants. Hamamelis must be given enough space to grow to a good-sized specimen (several meters/yards across though not very tall), which will provide the best flowering. You need a good quantity and density of flowers to make sure the plants don't disappear among a tangle of winter branches and dead plants. It's also ideal if you have a couple of plants together, maybe framed with a supporting cast of evergreens or plants with winter interest. Hamamelis are woodland edge shrubs, so they prefer dappled shade to sun (although not scorching hot), and nice rich woodland soil. There are North American (H. virginiana and H. vernalis), Japanese (H. japonica ) and Chinese species (H. mollis). Breeding has produced plants with many different bloom colours, shapes and sizes. If you're wondering who pollinates the flowers at this time of the year, it's small flies or gnats which are still active. Some flowers are incredibly fragrant too (an H. mollis plant, not a cultivar, in particular) - we could smell them from meters away. 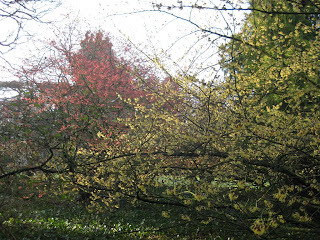 The garden itself holds a lot of Hamamelis plants, spread along the "Hamamelis route", which is well marked in the garden. The first section of the route contains the more mature plants, which are obviously much more spectacular in bloom. The later section contain some of the younger plants. We visited on January 25th, but I would recommend visiting towards the end of the festival. 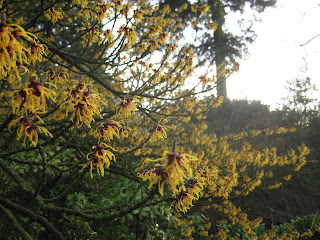 Not all plants were in bloom when we went, and since Hamamelis generally bloom for a long time, a safer bet is towards the end of the festival. It can also be quite wet and rainy at this time of year, so be prepared for muddy conditions. The whole garden is quite large (29 acres/12 ha), and of loose, informal 'gardenesque' design. There are a lot of different plant collections, and I think a visit at any other time of the year would also be very worthwhile. I plan on going back in the summer, so will try to post some summer pictures then. When: Mid-January to mid February for Hamamelis festival (recommend going in February to make sure most plants are blooming); any other time of the year for various plant collections. I'm a passionate Canadian gardener who has recently relocated to Belgium. I made the move for a change of scenery, a good career opportunity, and the chance to experience a different culture. However, as a keen gardener, I'm most excited about having a chance to visit the famous gardens of Europe. Having heard and read so much about them, I can barely believe that only a short train ride stands between me and the incredible gardens of England, France and Holland. 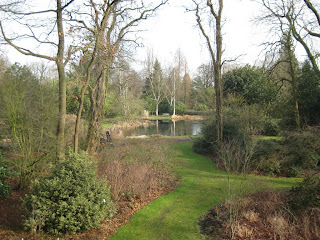 The plan for this blog is to keep track of all the gardens I visit, and hopefully provide some useful information to other gardeners, or anyone interested in amazing gardens. And since I've already observed a lot of differences between North American and European 'garden cultures', I'll try to share some impressions on that topic as well. Happy reading!